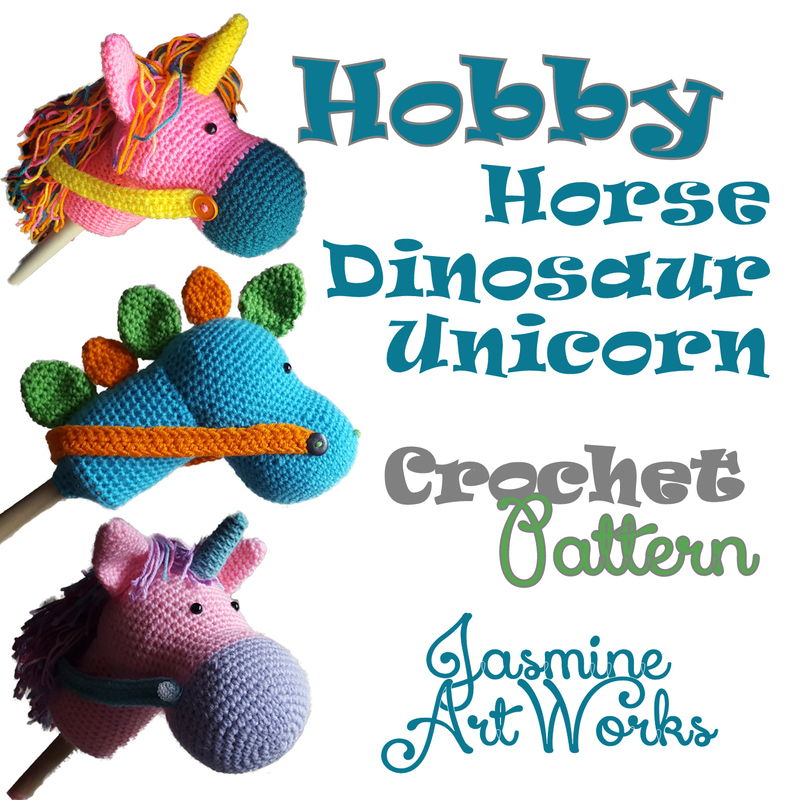 Make your little one their own Hobby Horse, unicorn or dinosaur! 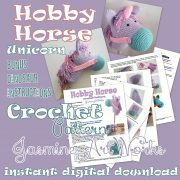 Surprisingly easy to make Crochet Pattern. Digital download. Diy Tutorial. Make a Hobby Horse! 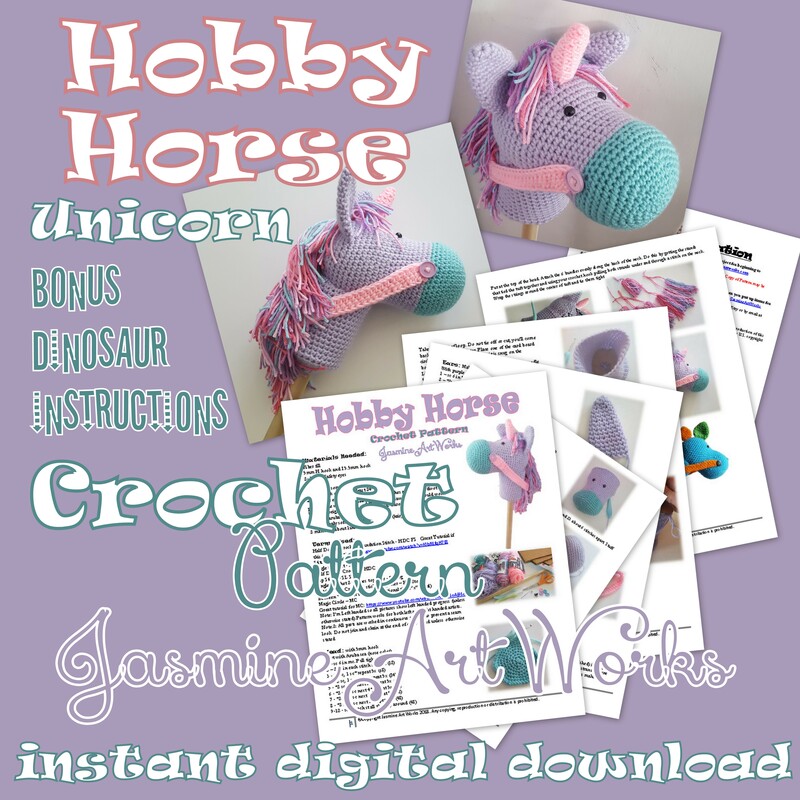 …Unicorn or use this pattern to make a Hobby Dinsoaur! My daughter begged over the holidays everytime she saw one of the hobby horses at the store. I couldn’t bring myself to spend that amount.. so I made her one. She now plays with it constantly, running all over the house! 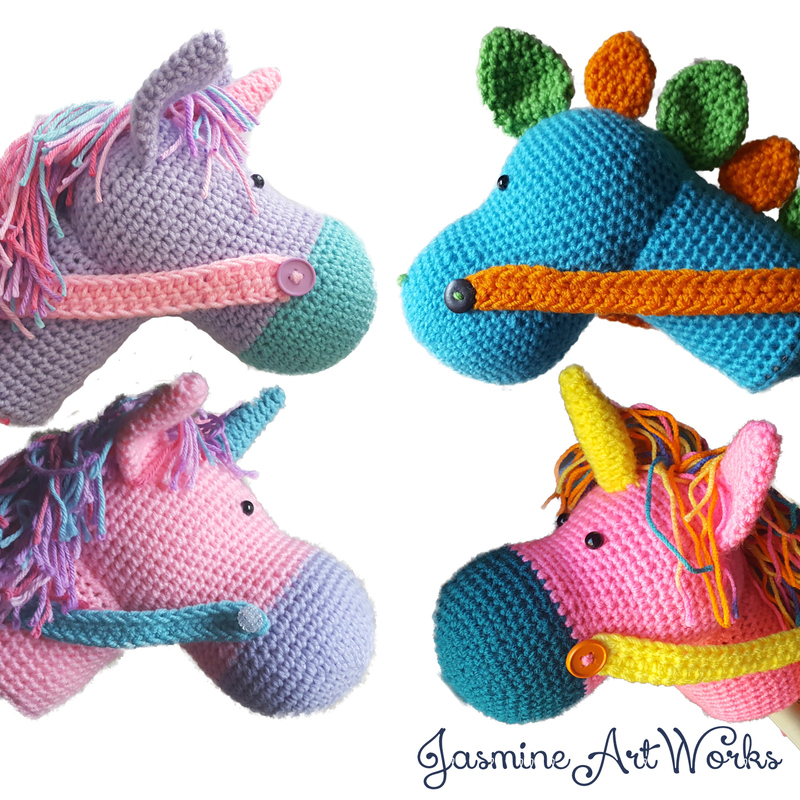 After a friend requested one for her daughter too, I decided to recreate and write down the instructions so others can crochet them! 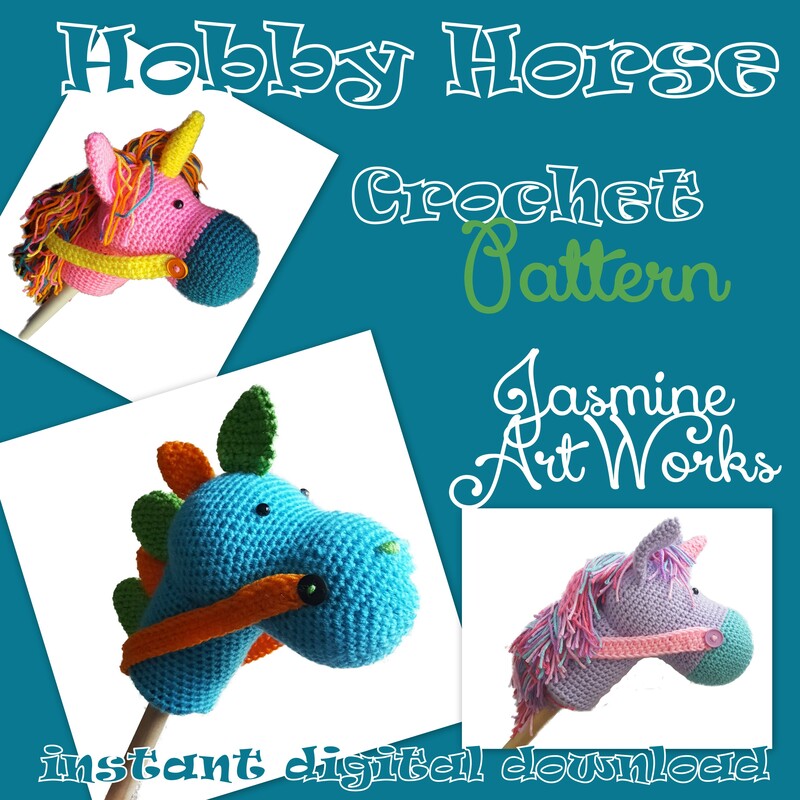 Now you can make a one-of-a-kind, customly unique hobby horse for your little one! 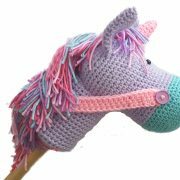 For beginner to intermediate crocheters. This perfect classic toy is surprisingly easy to make! 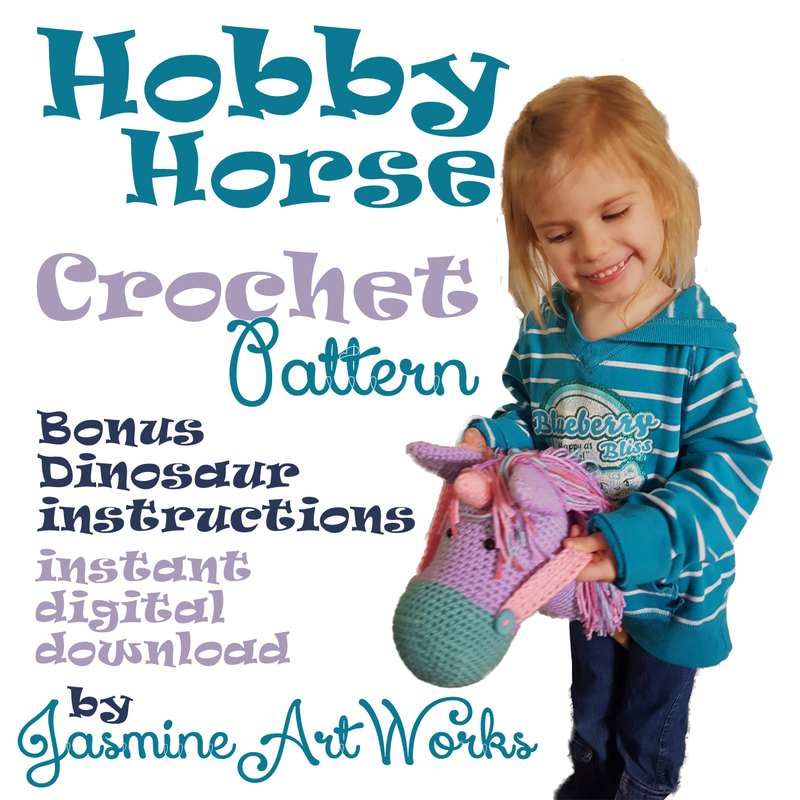 Included are bonus instructions on how to make the Horse a dinosaur! 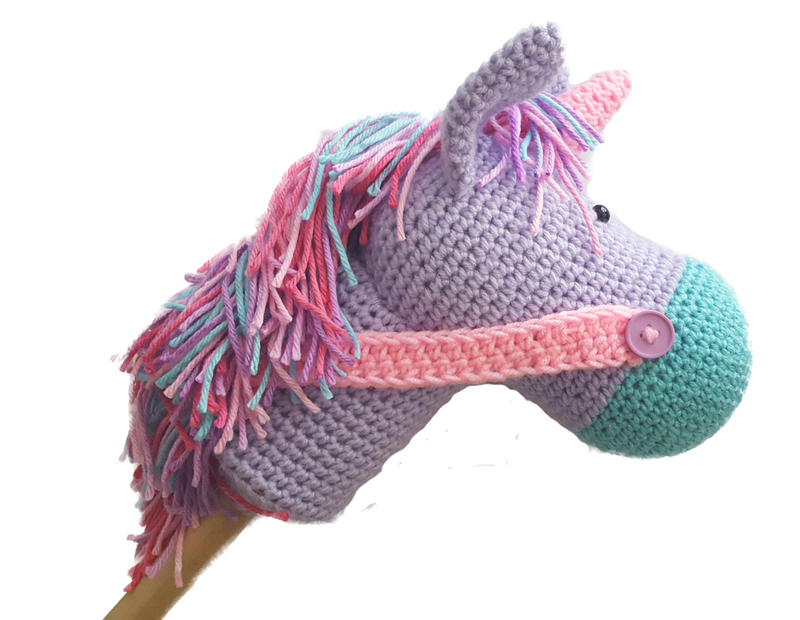 The Horse head is about 12″ tall sitting on a 24” long stick. The floppy hair is so fun and reins are detatchable! Requires Hook Size 5mm and a hook size 5.5mm, up to 4 colors size 4 Worsted Weight Yarn, 2-10mm safety eyes, 2 buttons, needle, fiber fill, dowel stick, and cardboard. Must be familiar with basic crochet stitches and techniques. Sc, hdc, dc, sl st, sc2tog, and magic circle. 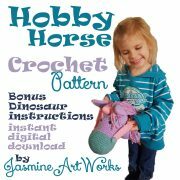 Included in the pattern are links for online video tutorials that are super helpful. Pattern is 5 pages in PDF form. Directions are written so that they are easy to read and follow. Tons of Pictures to follow along as well. American Crochet Terms. You have permission to sell finished items that are made from this pattern! I would absolutely appreciate it if you would include a link to my website in your listings when selling the finished items. I cannot accept returns/issue refunds on patterns because they are sent as a file. 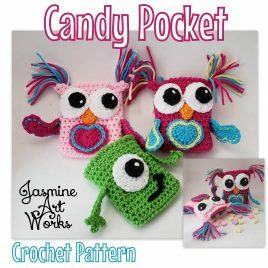 Make an owl or monster candy pocket. 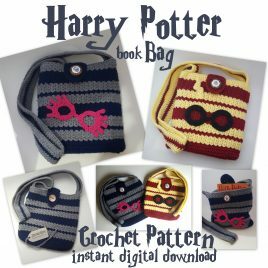 Crochet the perfect bag to hold your favorite book! 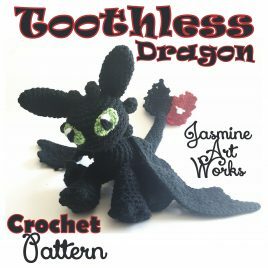 Make Toothless from Dreamworks' "How to train your Dragon"! 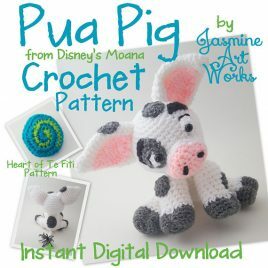 Crochet Pua Pig from Disney's Moana! Digital download pattern.